As soon as you start publishing your first ebook, you’re going to need a good author photo. Not just a small, pixelated picture of yourself at a party somewhere, but something you can use in forum profiles, Amazon author pages, Goodreads, Facebook fan pages, Google+ and everywhere else. You don’t absolutely need an author photo. It’s just that you will look anonymous without one. The photo helps to give your readers a sense of who you are. It helps them to connect to you as a person, not just a name on a page. — Use a photo that matches your writing style and genre. That doesn’t mean you have to sit on top of a moon rocket because you’re a science fiction author, or surround yourself with naked men if you’re a romance author. All it means is that the mood of the picture must match your books. For example, if you write lighthearted comedy, don’t use a moody black and white photograph of yourself scowling at the lens. 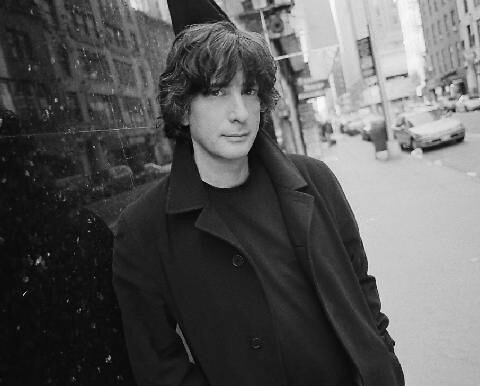 One of Neil Gaiman's many author photographs that fit his goth-friendly image. — Don’t Photoshop yourself out of all recognition. Sure, nobody said you have to look your worst, and a small dose of Photoshop can help. But if you ever do a book signing, lecture or any other kind of appearance, it would be nice if people could actually recognize you from your book photo, and not be disappointed that you’re not a supermodel. 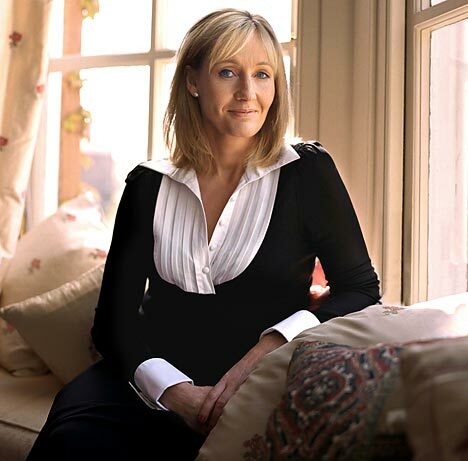 JK Rowling: good lighting works just as well as Photoshop. — Take it seriously. By that, I mean: don’t use a random Facebook picture. You don’t have to use a formal posed photograph for your author photo. But there’s no need to throw up a random snapshot, either. Think of it as a picture you’d include with your CV. You want to look your best. What if you suddenly hit the big time, like Amanda Hocking, and news media start asking for your photo? 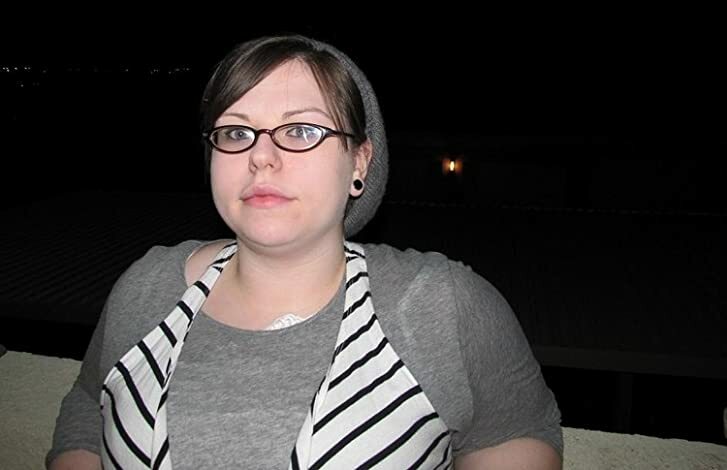 Amanda Hocking's Amazon Author page photograph. — Put your own spin on it. If you can contrive a photograph that shows you to advantage, and that isn’t a standard three quarters headshot, you will stand out. People will remember you. They remember the mysterious Lemony Snicket , even though he breaks all the rules by not showing his face in his photographs. Lemony Snicket's mysterious author photo. — Make sure you have a high resolution image that’s ready for print. Ideally, you should have at least two high resolution photographs: one black and white, one full color. Put these on your website and add a note that you give permission for these to be used as press images, or give them a Creative Commons license to allow re-use. That way journalists can legally use the photos even if they don’t have time to contact you. If you don’t provide high resolution images, you’re putting newspapers and magazines at a disadvantage. They may choose to go with another author rather than spend time and money on sending a photographer.